This post is part of a new series here at British Tars called "Race, Revolt, and Piracy." "John Wright, have Pity upon me; spare my Life; for I have a wife and four children." The Hopewell was an unlucky sloop. She was constructed in Annapolis, the colonial capital of Maryland, in 1749 and owned by a local man named Patrick Creagh. Almost immediately, Creagh's vessel ran into trouble. The London Town, Maryland based captain William Strachan was commanding the sloop to Barbados, but sailed into the teeth of an incredible storm. The Hopewell survived the ordeal, and led a rather unremarkable career for the next half decade running between Annapolis, the Caribbean, and the other North American colonies. Her string of mundane voyages came to an end in 1754. Captain William Curtis, who was master of the Hopewell for a short trip across the Chespeake Bay to Maryland's Eastern Shore, appears to have been pretty new to the business. 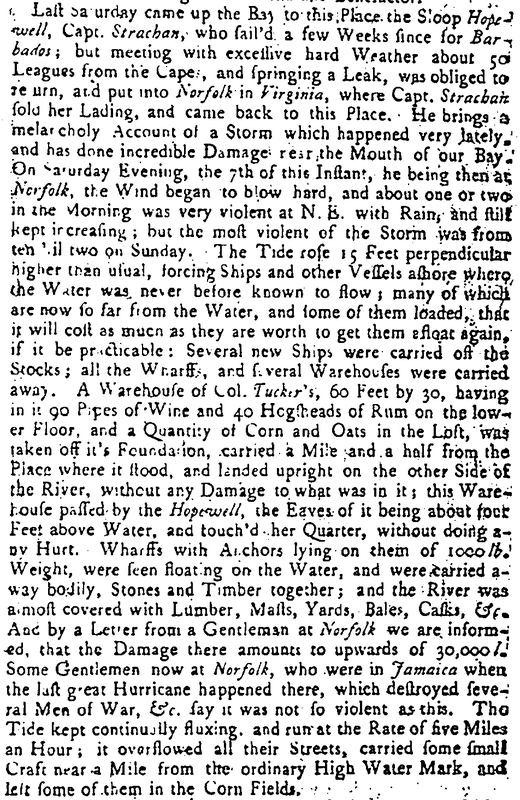 I have only found one other reference to the man: a brief mention in the Virginia Gazette in 1752 in which he commanded a vessel named the Enterprize carrying food down to the Caribbean. It appears that Curtis was a fresh and inexperienced captain. Curtis was sailing the Hopewell from the small port of Choptank back to Annapolis, hauling a load of barrel heads and barrel staves, when the mutiny occurred. The first the public heard of what befell Curtis and the Hopewell might have been this brief note in the Maryland Gazette. What they didn't yet know was how it really happened. A feature of Chesapeake maritime culture is the number of unfree sailors. Enslaved men and convict servants could comprise entire crews, cutting the cost of labor per voyage to virtually nothing. 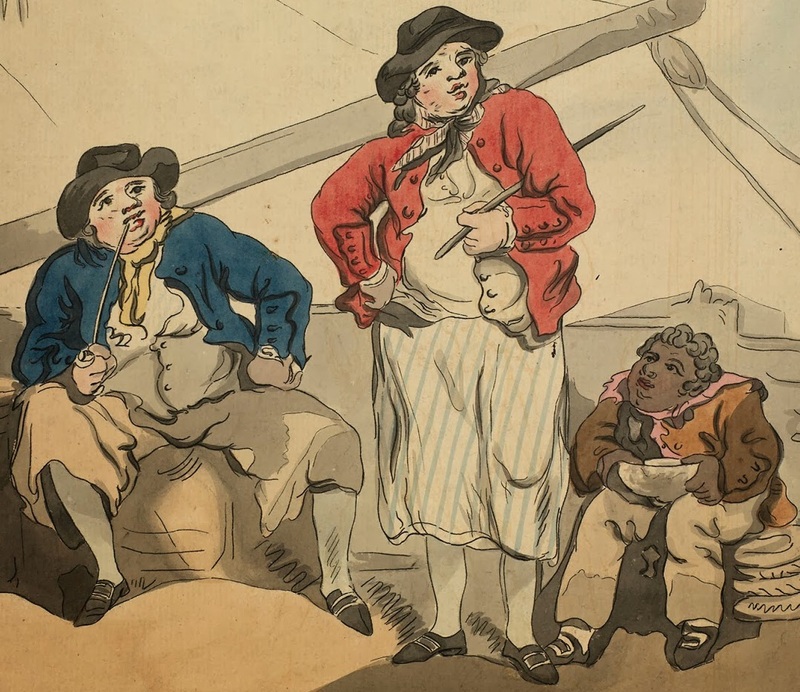 Among the forced sailors was a convict servant by the name of John Wright. In later papers, an alias is offered for him: William Wilson. I haven't yet been able to find the crime for which Wright/Wilson was convicted, but we do know that he was a navigator. The sloop had only two other sailors, another convict servant named John Smith and an enslaved man of very light skin referred to as Toney. Toney's full name was Andrew Lewis, and he was known to pass himself as "a Portugeze." Only a few hours out from Choptank, Wright bludgeoned Curtis with a handspike, and then struck him repeatedly with an axe after he had fallen. Andrew Lewis brought up a ballast stone and fastened it to the still living Curtis. Despite Curtis' pleas to spare his life for the sake of his wife and children, he was dumped over the side and sank into the Chesapeake. Donning Curtis' clothes, Wright took command of the sloop and steered her south. Curtis' red suit was recognized by other mariners in the Chesapeake, and word spread of his likely murder. Annapolis mustered volunteers to man and arm a boat and set off in pursuit, but the Hopewell had a significant head start. Next time: The mutineers have a plan for escape, and that plan involves kidnapping. The Pennsylvania Gazette, June 13, 1754. The Virginia Gazette, September 15, 1752, page 3; October 20, 1752, page 2.